Madai Festival is one of the most spectacular festivals of cultural Chhattisgarh and reflects the fascinating tradition and culture of this tribal region. The people from Gond tribe celebrate Madai Festival with enormous excitement and passion. Madai is normally celebrated from the beginning of December to end of March depending upon the local calendar. The festival travels from one place to another in Chhattisgarh. The communities which celebrate Madai Festival are Kurna and Charama of Kanker district, most of the tribes of Bastar region, people of Narayanpur, Kondagaon, Bhanupratappur, Antagarh and Pakhanjore. The native tribes of Chhattisgarh joined by other communities worship the deity with great devotion during this festival. The tribes of the state launch an incredible procession in the beginning of Madai Festival in an open area where the huge numbers of believers of the deity and general public gather to witness and perform the rituals, in the end of the procession the head priest worships their goddess. As the worship continues, the spectators uphold silence and some also pays respects in the feet of the goddess. After the culmination of the worshipping, various cultural activities start in the open field including drama, folk songs and dances. The villagers come here to enjoy the occasion in great numbers. This event of Madai Festival is always performed on a huge open area so that many people can join the celebration. 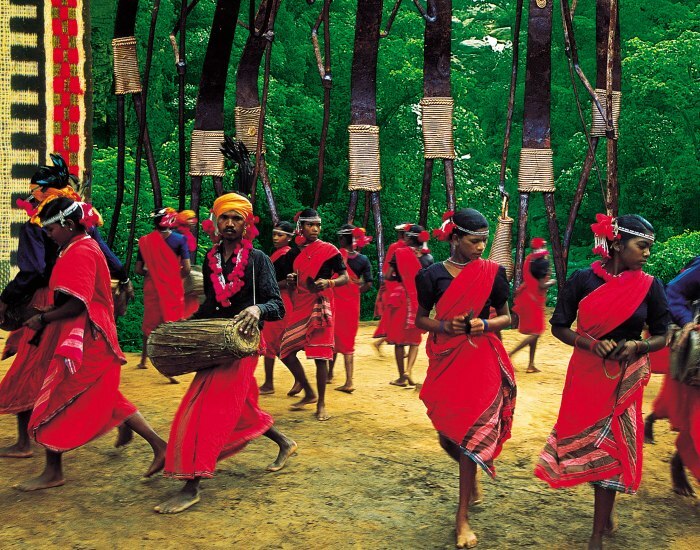 The most vibrant region of Chhattisgarh – Bastar mark the commencement of Madai Festival. After its beginning in Bastar tribal area of the state, the festival travels to another beautiful region of Kanker district, from where Madai goes to Narayanpur and then to Antagarh, Bhanupratappur, further to Keshkal and towards Bhopalpattnam and in March to Kondagaon, which will be the end of the festival. As Madai Festival moves from one place to another, every tribe and each community of the state participate in the unique celebrations of this exciting occasion. The festival is originated from the ancient traditions and customs of Chhattisgarh, as the tribal people of the region are known as Adivasi – the ancient residents of India. Their culture is centuries old and follow the unique customs involving various amazing dances and exquisite costumes. The Madai Festival now is one of the most popular celebrations to witness the tribal culture, folk dances of Chhattisgarh – the hidden cultural state of Incredible India. In the same series of special program, we are organizing a tour program for Rajim Kumbh Mela 2019 and Madai Festival along with some other great tribal attractions like Bison Horn Maria & Ghotul Dance, Tribal Markets & Villages. When is this festival going to held in 2019. Do you plan any tour for this ? 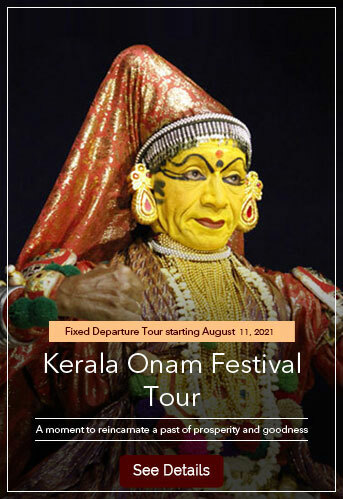 Please check the schedule of our next tour covering Rajim Kumbh Mela and Madai Festival 2019. Let us know if you need further information in this regard.